I think I'm turning veganese, I really think so. 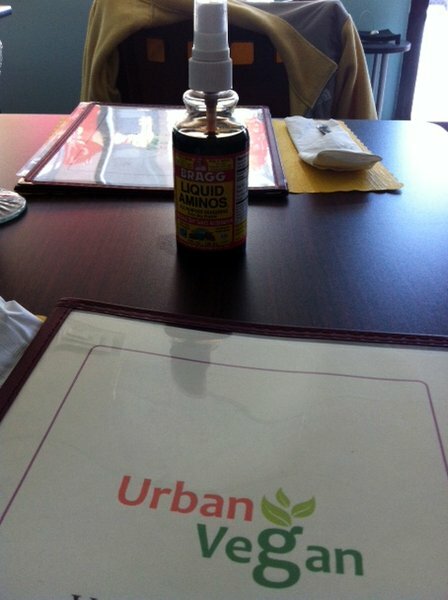 Today, I had the pleasure of dining at a Chicago vegan spot: Urban Vegan! I took this photo back in July before their Fullerton location opened up. I’m really glad that I had a chance to finally dine here. How cute is this little spray bottle of Bragg Liquid Aminos??? Soooo cute. But also so not necessary since everything we had was really tasty. I thought about ordering Pad Thai (my usual choice for a first time visit to a Thai restaurant) but I was really in the mood for soup. 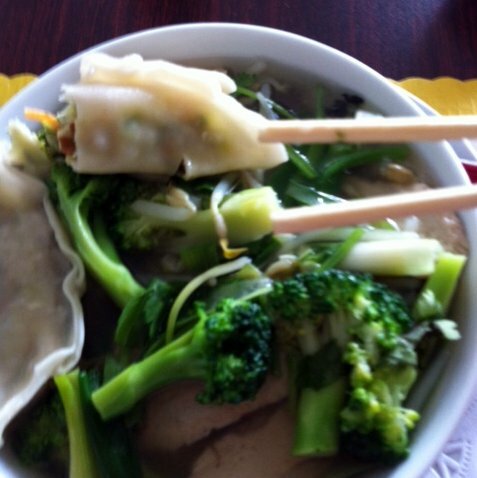 So I got the Won Ton Noodle Soup. I apologize for the blurry photo which does NOT do the dish any justice. It consisted of rice noodles in veggie broth with bean sprouts, broccoli, veggie dumplings and soy chicken, topped with cilantro, green onion, and fried garlic. Soooo good and filling — I took half of it home! It’s not exactly in my backyard, but I’m already looking forward to my next visit to Urban Vegan. If you’re in Chicago, be sure to check them out! They have locations in Lincoln Park and Lakeview. 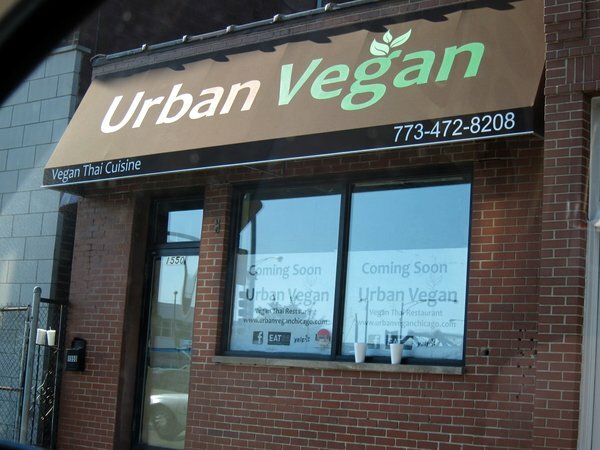 You can get all the details along with their menu at their website www.urbanveganchicago.com. It’s My Annual Vegan Cookie Baking Day! It’s Still Summer. Make an Eggplant Salad! Naf Naf Grill: Delicious and Vegan-Friendly!